I love how shiny they are. Gorgeous photos. 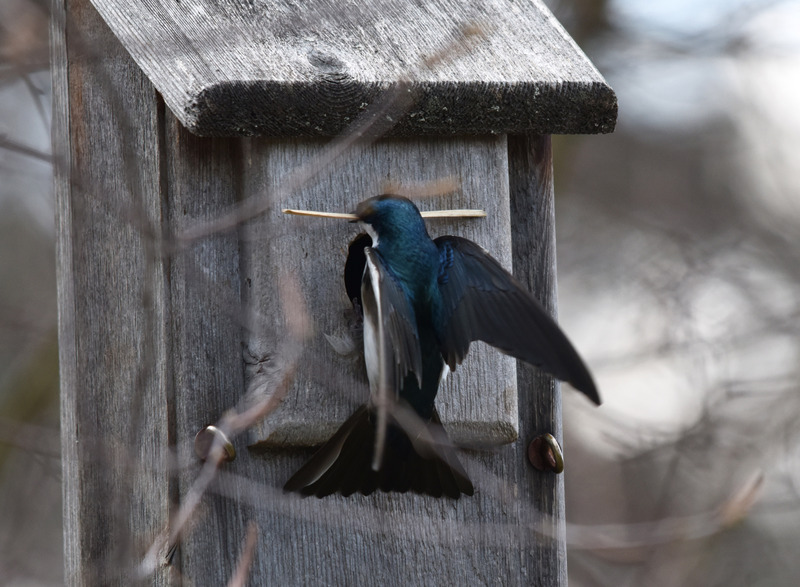 They have a very lovely color…a very dark metallic blue with a white chest and belly. They look like tiny Orcas, the killer whale. He he! The Orcas of the bird world. Phew! Thought for a moment it wouldn’t get that twig through the door. I should know better! 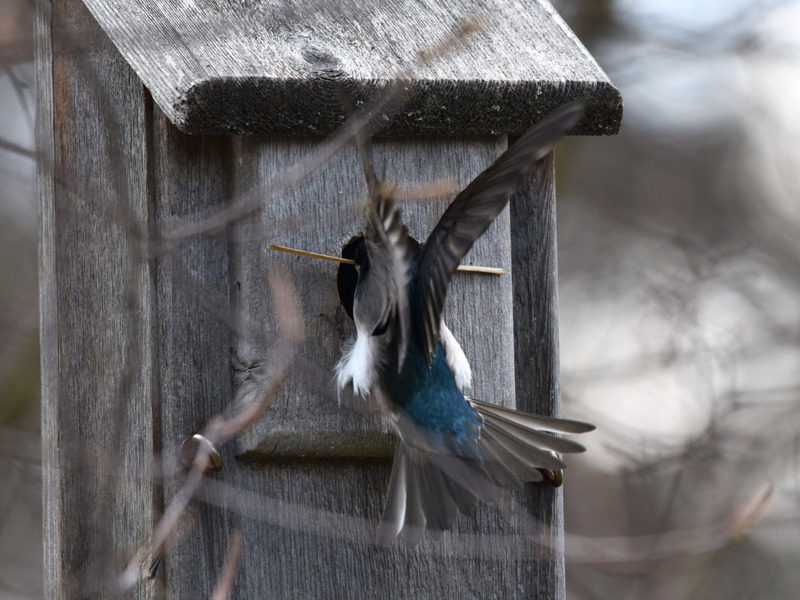 She took off with the twig then made a turn in the air, came back and shoved it in. It was probably just dry grass that didn’t need much strength to bend or break. 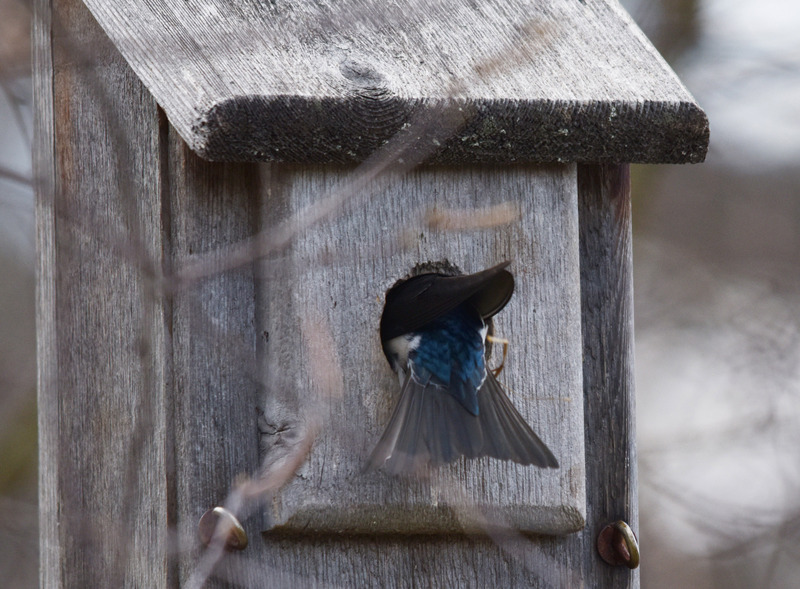 But the acrobatics they perform getting some of it into the nest box is both fascinating and at times hilarious. Love your beautiful photos. They tell such a delightful story. Nice that you welcome the tree sparrows back each year. Thank you. We look forward to welcoming these migrating birds every year. Like old friends returning home. 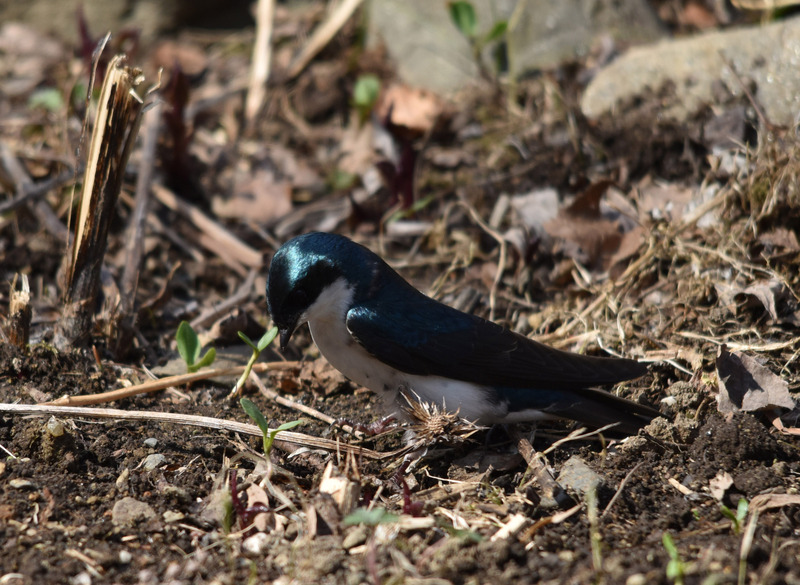 Tree Swallows have a habit of coming back to nest where they were born or have nested before. 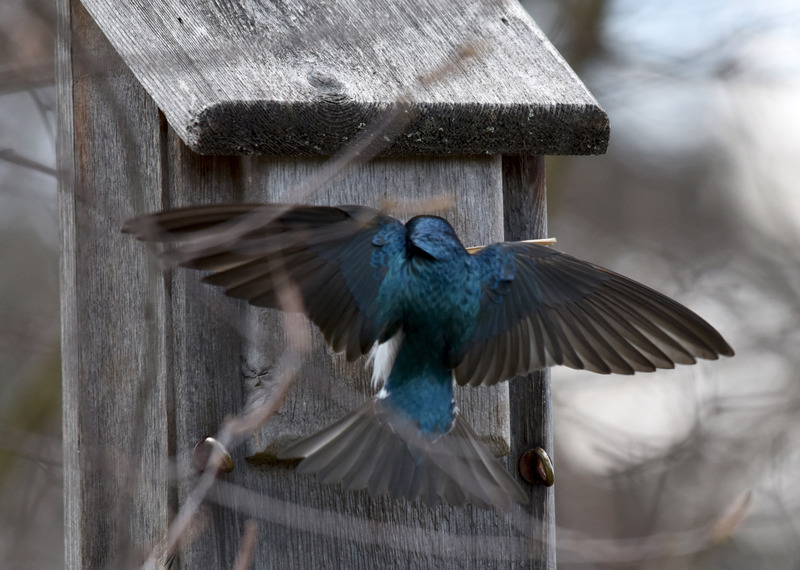 You have Bluebirds in the neighborhood so they will probably nest in your garden if you put nest boxes up. Helping them fend off the House sparrows will be a battle, but worth it.